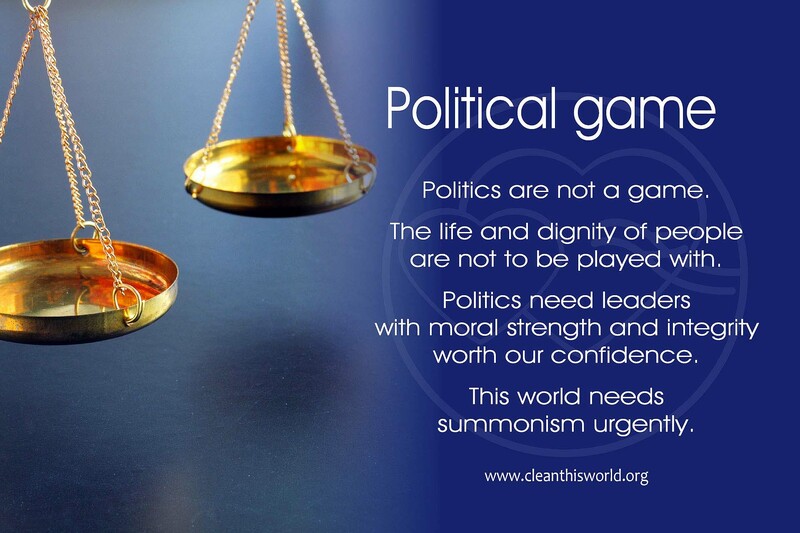 Politics are not a game. The life and dignity of people are not to be played with. Politics need leaders with moral strength and integrity worth our confidence. This world needs summonism urgently.